In Buddhism there are many kinds of meditations. I think every religion also has their own way of doing meditation. I find that Meditation is also getting popular in North America because of the efforts of the Dalai Lama and other Buddhist monks. 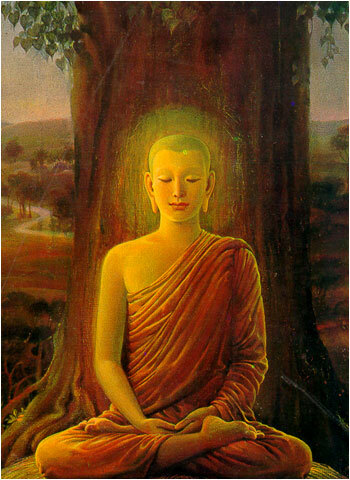 Within Buddhism there are many different kinds of meditation. Some are easy and can be practiced at home by yourself. Some are of a high spiritual level where you need a good teacher to guide you and correct your errors. Regardless of the kind of meditation you are doing, whether Buddhist, Taoist or Yoga, when we talk about how to meditate, it always starts with how to breathe right. We all know breathing is essential and a necessity of life. But breathing also affects your psychological and subtler physiological processes. When you are angry, nervous or afraid, your breath is fast and short. Your pulse speeds up too. If you are able to calm your breathing, taking deep and slow breaths, you can also slow your heart rate. People usually breath 14~18 breathes per minute. Research involving meditating monks, found when they breath 4~6 times a minute their pulse is also very slow. They also have greatly altered brain waves. 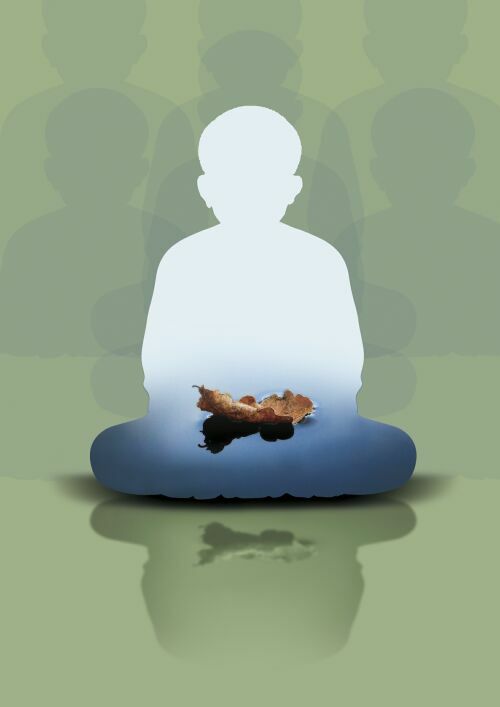 We believe that the history of meditation is several thousands years old. 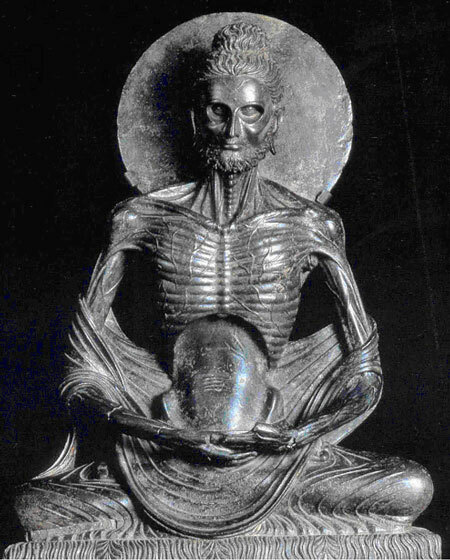 In India, before Sakyamuni Buddha, meditation already existed in Brahmanism. Brahmans believe that through meditation practice you can get mystical powers. Buddhism also believes meditation practice can cultivate mystical powers but the ultimate goal is to reach Satori (enlightenment). In China Taoist meditation practice started with Chi Kung meditation. Practitioners focus on their Chi (energy) encouraging it to flow through all the body’s meridians. They then focus on their spirit part hoping they can become immortal. For many years, I have encouraged friends who are determined to pursue better health to attempt sitting meditation for training body and mind. But when talking about meditation, many people seem to think that this is a religious activity. In fact, both from a scientific or medical perspective, and when subjected to analysis and verification, meditation really can create a big change in physical and mental health. The medical perspective proves that meditation resembles animal hibernation. The process creates very similar physiology changes in humans as hibernation does in animals. Meditation increases the effects of the parasympathetic nervous system. The body’s metabolic rate is reduced, including the heart rate, respiratory rate, and blood pressure. A person’s muscles become deeply relaxed. However, unlike hibernation, his/her mind stays alert and vigilant. Meditation also eases the body’s response to stress. Endocrine related research about immunity has discovered that people who do meditation cope better when faced with stress. When we are in a state of stress our body will produce a lot of stress hormones (cortisol) and increase our use of energy. With too much stress the body eventually runs out of resources and ill health results. Meditation sets the basic rate of energy use lower. Promoting the parasympathetic system also allows the immune system to function more effectively. Moreover, during meditation it’s also possible to reduce blood levels of lactic acid, the end product of muscle metabolism i.e. reduce the accumulation of waste. This means that people doing meditation have a higher tolerance to stress when it comes. Their body is at metabolic rest, rather than perpetually ready and over-reactive, constantly making greater and greater adjustments to environmental stress. While meditation can reduce the body’s oxygen demand, at the same time it can effectively improve blood oxygen concentration i.e. your relaxed muscles don’t need as much oxygen, so more remains in the blood to circulate to where the need is greater e.g. the brain. Meditation helps you think! It also helps your sleep be more restorative. A person usually needs to sleep 5 to 6 hours before they can significantly reduce their oxygen demand. But if you do some meditation before retiring for the night, your body will already have reduced its demand. Many modern people are anxious, over stimulated, and under pressure for a long time. They gradually lose their mental and physical balance, resulting in an endless variety of mental and physical fatigue symptoms. Many can’t find a complete cure for their malaise. If you feel this way, try to learn some simple meditation as soon as possible. It can be as simple as sitting quietly, praying or being mindful for 30 minutes every day. You will see a great reduction of these fatigue symptoms. If you have a few more minutes I would like to share with you my own personal experience. Meditation helped me reduce some symptoms of anxiety that have been plaguing me for several months. I had a dry cough every morning, but no cold or flu symptoms and would feel short of breath. No cough medicine helped me. Sometimes that cough was so deep it hurt. It also drove my wife crazy. I wasn’t sleeping well. I would have trouble falling asleep and then wake up halfway through the night. I have been practicing meditation for over 20 years. Lately I’d been practicing just 1 or 2x a week. Apparently that wasn’t enough. So, two weeks ago, I decided to sit for 45min-1 hour every morning. I listened to musical mantras and observed my thoughts and natural breathing pattern (mindfulness meditation). After 1 week, I felt my anxiety levels had already reduced. I wouldn’t wake up feeling stressed and have to cough. I was sleeping better too (except for after T’ai chi class when I drank green tea too late at night). This morning I didn’t cough once. My wife was amazed. Meditation can not only promote your physical health. It can also decrease your sadness, anger or unhappiness with life. For anyone looking to maintain or improve their health, meditation is one of the best ways. You just need to find the time to do it. You don’t need space, you don’t need any special equipment. You just need will power, perseverance and to make the time. Now, when modern people do meditation I don’t think they want get mystical powers, achieve enlightenment or become immortal. Mostly just want to find a way to release the stress of living. But I find some people feel frustrated after they trying meditation because they can’t calm down their mind; they have too many thoughts. When some people see “Meditation” they automatically think “calm”, “peace” or “empty mind”. These preconceived notions interfere when they are doing meditation because they tell themselves they must have these feelings and when they don’t they feel frustrated. In Buddhism, meditation means “Focus Observe”. This means that when you are doing meditation you try to focus on one thing (you can focus on your breath, one thought, a sound…etc.) then observe it. At the beginning you might have a lot of feelings from your body (itching, pain, heat…etc.) and a lot of thoughts in your mind but you still just observe them and don’t follow them. You don’t let your mind be distracted from your single focus. If you think your mind has too many thoughts you can try this: Your mind is just like the blue sky, your thought are like clouds. When a thought comes it’s just like a cloud. No matter if it’s a white cloud or a dark cloud, behind all clouds there is always the blue sky. There are many places that teach meditation for free, like Vipassana Meditation centres, local meditation groups, Buddhist temples or even some Buddhist monasteries. You can go take a course there then go home and practice by your self. There are also some places that teach expensive meditation courses. You have to pay a lot of money to learn how to meditate! Usually I don’t like that. Meditation is not like buying a car, house…etc. When you buy things, paying more money usually means getting better quality. Meditation is different from buying an object. When you want to do meditation it means you want to find a way to release your mind and spirit. If you pay a lot of money to take a course you already expect to get something from the course so how can you release your mind and spirit? Here is one easy way to do meditation: Do some warm-up or stretching first to relax your body. In Yoga meditation the stretching is very important because when your body is soft enough then the energy can go through your body. The “Sea of Chi”, or “Chi Hai”, is usually 1.5 inches below your umbilicus/belly button for an average sized person. You can find your Dantien this way. Place your hand flat against your belly. With fingers together, thumb up and fingers below, put your thumb directly over your umbilicus. The “Sea of Chi”, an acupuncture point, is directly beneath your ring finger. Place your other hand beneath the first hand. Your second hand is now over your Dantien. 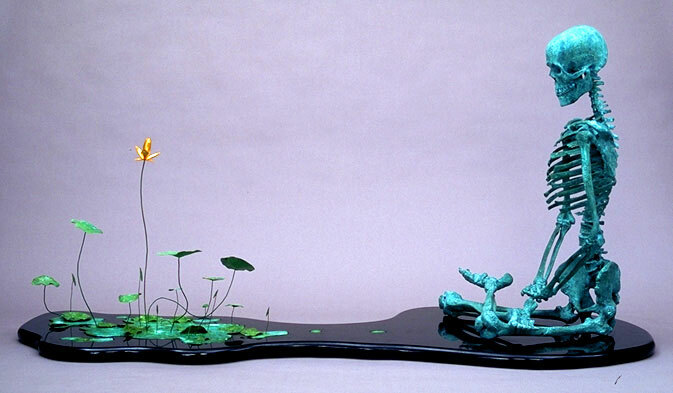 The Dantien is part of a larger area that includes the “Hinge at the Source” or “Guan Yuan”. When you breath-in try taking a deep, fast breath. When you breath-out, exhale as slow as you can, focusing on your breath. You can sit on a seat cushion or on a chair. You can even stand but most importantly you want to keep your spine straight from neck to hip. In the beginning you can try to meditate for 15~ 20 minutes at a time then gradually lengthen it. Sometimes you will feel good, sometimes you will have bad feelings but you just want to observe it and fixate on it. You need to persevere with your practice. When your breathing can slow to 4~6 times a minute you will find your mind and body feel different than before.